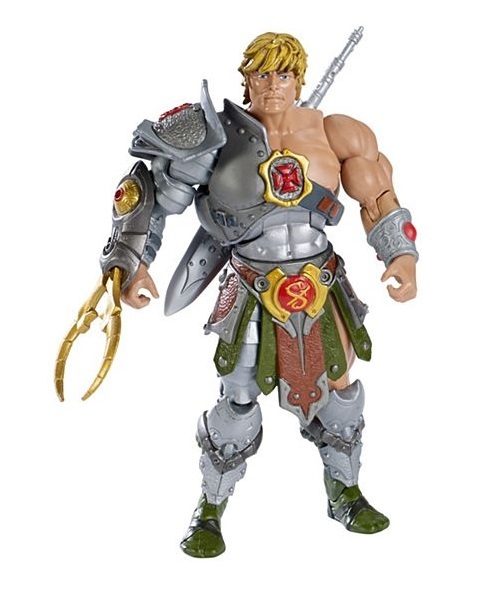 When the Snake Men returned to Eternia from their banishment in the Void, Adam used the Power of Grayskull to create upgraded armor more adapted to combat his new reptilian enemy. 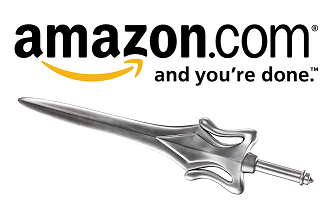 Equipped with a venom-proof shield and a cordite snake pincher. 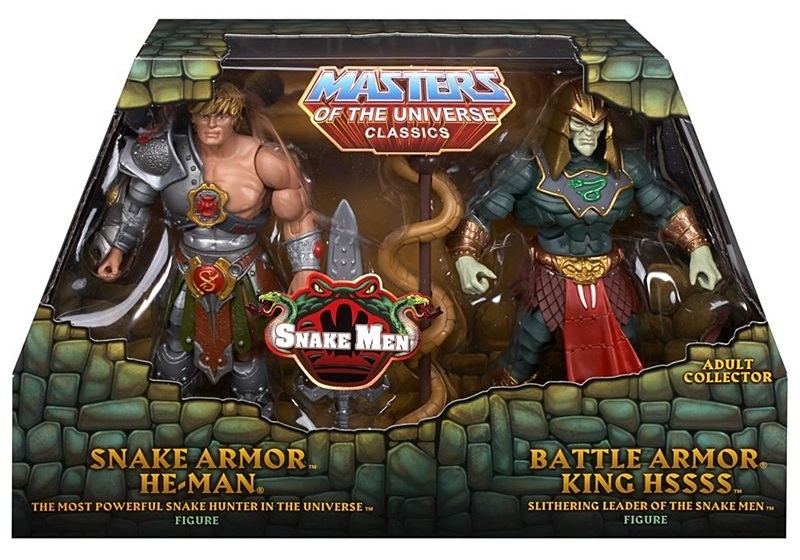 Adam is now fully protected in his Snake Armor, ready to fight off King Hssss and his army of snake warriors! 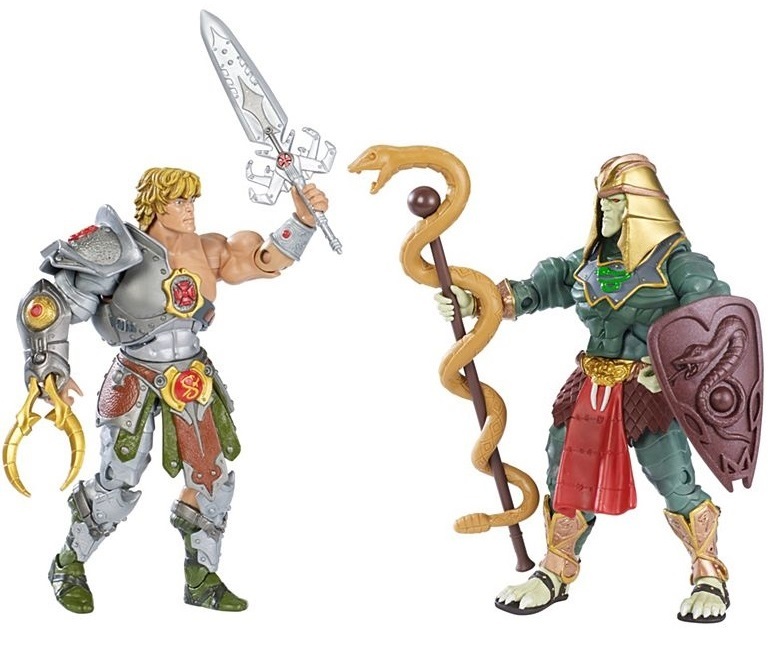 Eventually, Adam was forced to used his armor to battle against his former friend and mentor Duncan who had been hideously transformed by the Serpent’s Ring into a Snake Man. 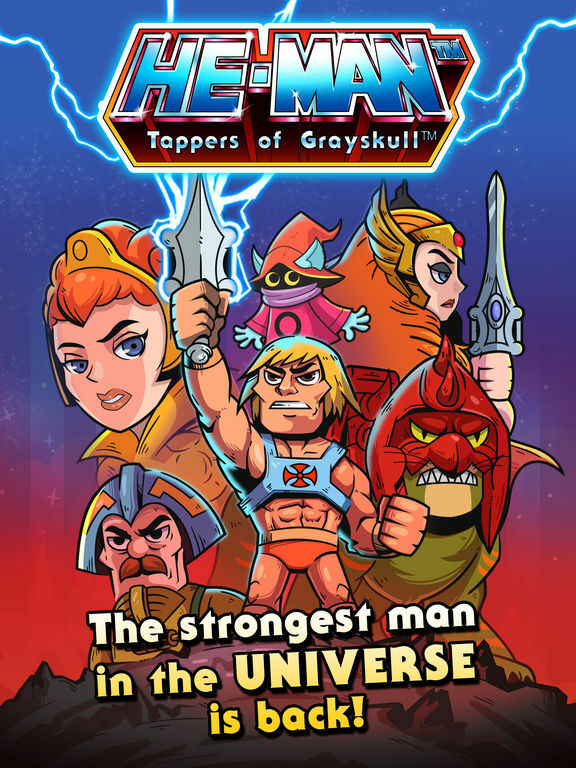 Refusing to kill Duncan, Adam’s Snake Armor was destroyed by Snake Man-At-Arms’ newly invented neutralizer blaster which could disrupt the Power of Grayskull itself! 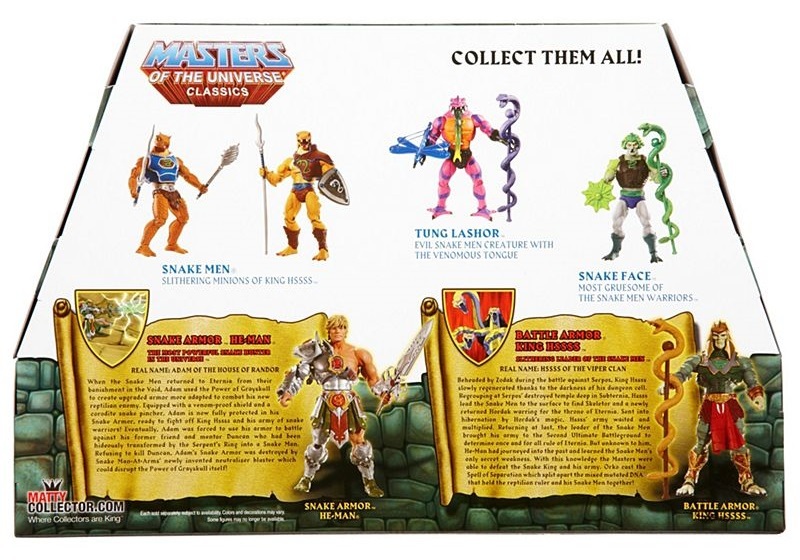 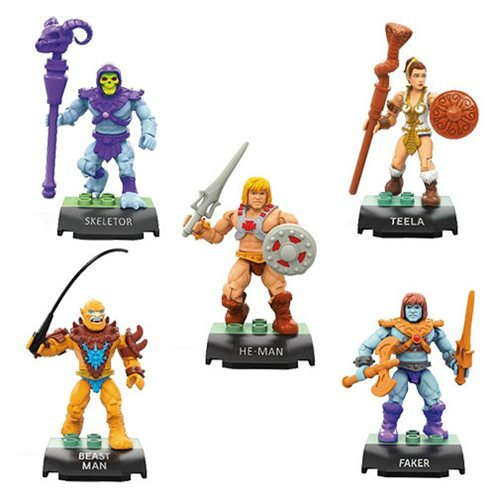 Snake Armor He-Man was released with Battle Armor King Hssss as a part of a special two-pack. 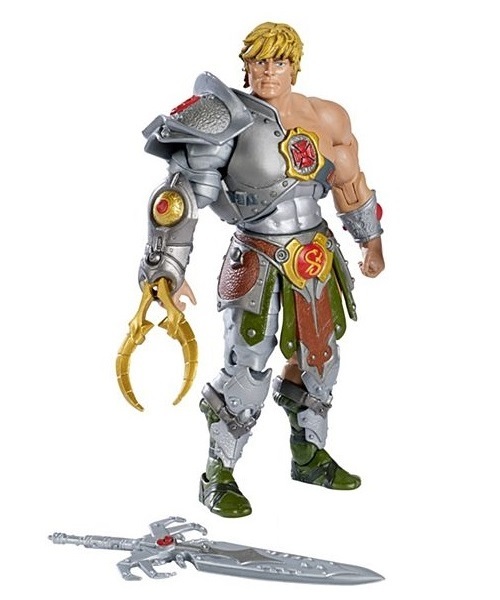 Snake Armor He-Man comes with brand new armor, sword, and an arm attachment for wrangling snakes. 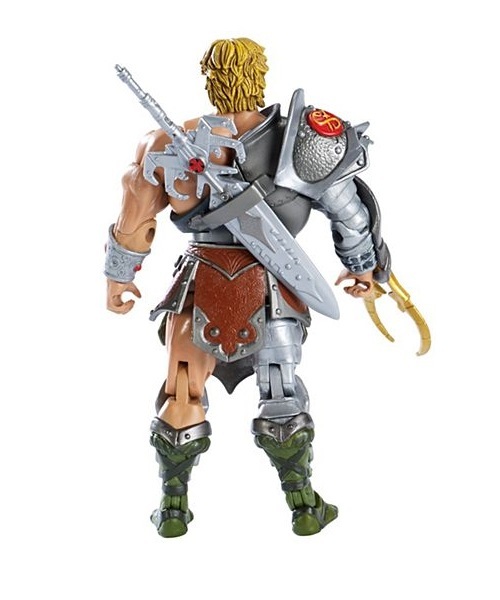 Battle Armor King Hssss is ready to strike back with his snake staff and shield.